Nutrition Policy Institute staff volunteering at Alameda County Community Food Bank. 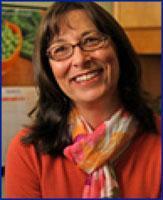 Lorrene Ritchie is the Director of the Nutrition Policy Institute (NPI). 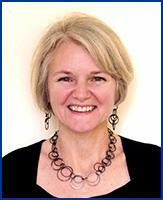 She has devoted her career to sharing, synthesizing, developing and collaborating on nutrition policy research. The goal of her work is the prevention of food insecurity, obesity and diabetes, and the promotion of health and wellness. 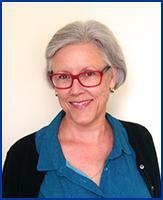 Her current research interests involve evaluation of the relationship of programs and policies, in particular the federal nutrition assistance programs, on children’s dietary intakes and weight status in school, childcare and other community settings. 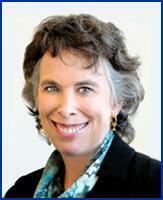 Pat Crawford is the Senior Director of Research at the Nutrition Policy Institute (NPI). 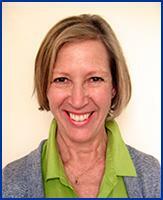 Prior to coming to NPI, she co-founded and directed the Center for Weight and Health at the University of California at Berkeley for 15 years. She is also an Adjunct Professor in the School of Public Health at UC Berkeley. Dr. Crawford studies ways in which nutrition programs and policies can improve children’s dietary intake and reduce obesity. Dr. Crawford served on the California Legislative Task Force on Diabetes and Obesity and is an expert advisor for the Let’s Get Healthy California Task Force. She chaired the Institute of Medicine’s Workshop on Food Insecurity and Obesity and served on the IOM’s Committee on WIC Research, the Committee on Accelerating Progress on Obesity Prevention, and the IOM’s Standing Committee on Childhood Obesity Prevention. Lauren Au's research involves the assessment of dietary intakes and the food environment for the prevention of obesity in low-income, racially diverse populations. Her focus is on understanding how to promote healthier eating and prevent obesity in federal nutrition assistance programs, such as the Women Infants and Children (WIC) Program and the National School Lunch Program. Christina devotes her time to several projects at NPI, such as the Fit Study and the California Healthy Kids Study, which both aim to improve student health in California. Sara Brizendine assists with proposal development, and manages contracts and grants for the Nutrition Policy Institute, including budget projections throughout the lifecycle of the projects. 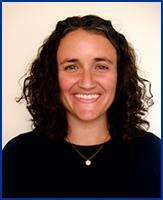 Kristy Brownell began her work at NPI as a research assistant for the California Healthy Kids Study. 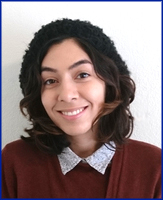 She has also enjoyed working on projects with the California Endowment and the BUSD Gardening and Cooking Program. Wendi Gosliner leads research projects at the Nutrition Policy Institute and teaches at UC Berkeley’s School of Public Health. She has dedicated her career to understanding and working to improve policies and programs that affect population health and nutrition, with a focus on eliminating health disparities and improving federal food and nutrition programs. She has studied interventions in schools, childcare centers, WIC, SNAP, and SNAP-Ed, and is particularly interested in the nexus of research, public policy and community-based efforts to improve health. Temika has assisted with data entry, data collection, data cleaning and data management on multiple research projects. 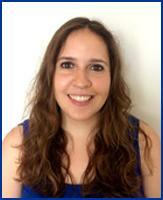 She currently works as the office coordinator and HR liaison for NPI. Phoebe Harpainter is a public health nutrition researcher and registered dietitian working on an array of projects at NPI, including early childhood care nutrition standards and building strong local food systems. She hopes to improve the health and wellness of all Californians through her work in research and evaluation across multilingual and multiethnic communities in the state. Christina’s primary focus area is healthy beverages, particularly drinking water, the healthy alternative to sugar-sweetened beverages. 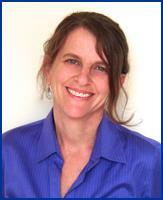 She studies drinking water access and consumption, particularly in children. She works with colleagues across the country to promote and advocate for drinking water access and to reduce disparity in access to and consumption of healthy beverages. Ken Hecht has spent his career as a legal services attorney and as a nutrition advocate developing opportunities for low-income Californians. 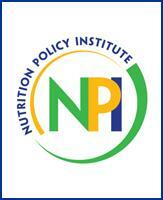 At NPI he focuses on the federal food programs with special attention to early childhood. 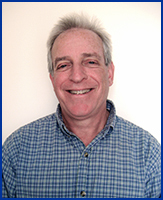 He works to ensure that NPI’s research and evaluations have the strongest possible policy impact. 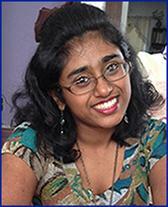 Sridharshi works as a Data Analyst at NPI on multiple projects, including the Healthy Communities Study, with the aim of contributing to the fields of public health and nutrition through her skills in data management and analysis. 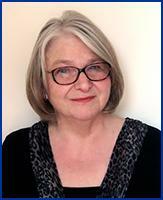 Janice's primary research interests include evaluation of community-based programs and policies. Examples include examining the impact of school wellness policies and the effectiveness of health food retail interventions. She contributes to several NPI projects such as the Kaiser Permanente Healthy Eating Active Living (HEAL) Initiative, the NHLBI-funded Healthy Communities Study, and working in the Nutrition Education and Obesity Prevention Evaluation Research Unit. 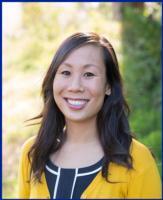 Dani Lee is a registered dietitian and public health nutritionist working to increase access to healthy and sustainable food. 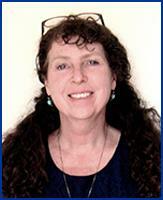 Her work at NPI focuses on early childhood feeding and federally funded food programs including the Special Nutrition Assistance Program for Women, Infants and Children (WIC) and the Child and Adult Care Food Program (CACFP). Meirong develops and prepares budgets for NPI, as well as financial reports for grants and proposals. 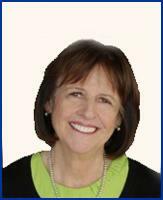 She is responsible for managing, planning, monitoring and administering budget and payroll functions. 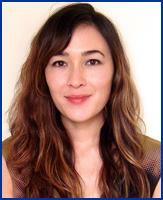 Amanda has worked with the Nutrition Education and Obesity Prevention Branch (NEOPB) of the California Department of Public Health (CDPH), and now with NPI's Nutrition Education and Obesity Prevention Research and Evaluation Unit. Her primary research interest is impact and outcome evaluation of various nutrition education interventions with low-income audiences. 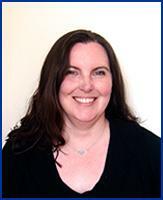 Shelly manages NPI's data process and works with all of NPI's researchers supporting data entry, analysis and reporting. 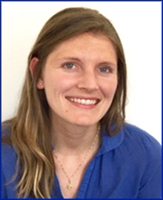 Anna C. Martin contributes to the evaluation of SNAP-Ed in California as Director of Operations for NPI's Nutrition Education and Obesity Prevention Research and Evaluation Unit. She has extensive experience in program evaluation and research with nonprofits and foundations, focusing on nutrition, health and poverty programs. Claudia has worked in the public health nutrition field for her entire career, first with the National Growth and Health Study and later at the Center for Weight and Health. 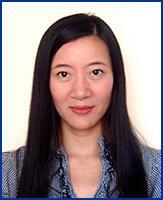 She contributes to NPI projects in both the administrative and data areas. Kaela Plank is an evaluation specialist on the SNAP-Ed Nutrition Education Obesity Prevention team who works on a variety of projects. She wants to contribute to the evidence base of effective public health strategies that aim to improve healthy food access and safe, active living opportunities for all Californians. Her past research has mainly focused on the retail and school settings where she worked on projects involving healthy snack incentives and ReThink Your Drink programming. 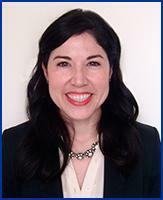 Hallie Randel-Schreiber works on the Kaiser Permanente Thriving Schools and other nutrition evaluation projects. Her goals are to help schools and community groups use evaluation data to improve their healthy eating and active living efforts and to celebrate their successes at creating change. Suzanne Rauzon integrates project/fund development and communication planning to achieve NPI’s mission and goals in her role as Director of Strategy. Her research interests are in food, physical activity, community health evaluation, and measurement using the population dose concept. Carolyn has devoted her career to improving the lives of underserved populations in California through evaluation and applied research. Her primary focus at NPI's Nutrition Education and Obesity Prevention Research and Evaluation Unit is to provide overall project coordination and technical assistance for local health departments conducting impact and outcome evaluations of nutrition education interventions. She also provides research and evaluation expertise to the California Department of Public Health and other SNAP-Ed agencies. Ron works to promote a more equitable and sustainable food system. 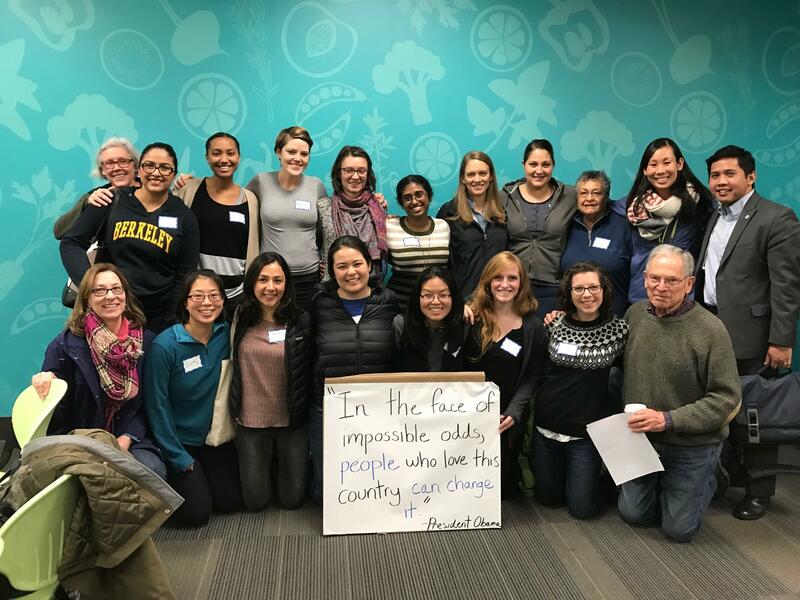 Areas of interest include policy and systems change to increase access to healthy food in low-income and immigrant communities and promoting improved diet, nutrition and health among agricultural workers. Ron enjoys opportunities to conduct fieldwork and community-based research. He has lived and worked in Central America and is fluent in Spanish. 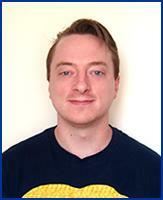 Evan has worked with the Nutrition Education and Obesity Prevention Branch (NEOPB) of the California Department of Public Health (CDPH) since 2009, and with NPI's Nutrition Education and Obesity Prevention Research and Evaluation Unit since 2015. 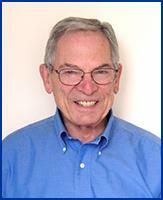 His primary research interest is process evaluation for California SNAP-Ed nutrition education interventions. Nicole Vital contributes to the evaluation of a number of school health projects, including the Kaiser Permanente Thriving Schools and Water First projects. Her work at the Nutrition Policy Institute builds upon her background of raising awareness about and access to healthy and sustainable food. Laura contributes to NPI's work on drinking water, food security and the charitable food assistance system, and the impact of community nutrition and physical activity on children's health. 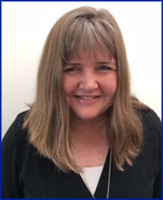 Karen’s primary research interests are food insecurity, charitable food assistance, obesity prevention, food system changes that incorporate population health and environmental protection objectives. Additional research interests include nutrition epidemiology and nutrition surveillance, nutrition program planning and evaluation in communities, dietary assessment methods, technical assistance to field and mentoring students and young evaluation researchers. Gail's research focuses on the evaluation of school- and community-based programs and policies that aim to reduce obesity, improve dietary intake and/or increase physical activity. She also leads or participates in other activities (literature reviews, expert panels, etc.) to inform program and policy directions concerning obesity, nutrition and physical activity. The focus of Barbara Abrams’ research is on weight in women during pregnancy, postpartum and menopause. She is currently leading a study of inter-relationships between early life adversity, pregnancy weight gain, racial disparities, and obesity in women and their children. She is also involved in studies that investigate the contribution of maternal obesity, gestational weight gain and Black-White disparities in stillbirth, infant mortality and other adverse birth outcomes and in trials to prevent excessive weight gain and retention during pregnancy and postpartum. Caitlin Daniel studies questions regarding the interrelationships between culture, health, inequality, family and the sociology of food. Using in-depth interviews and grocery-shopping observations, her current research examines how parents across the socioeconomic spectrum decide what to feed their children. She is especially interested in how these decisions result from the interplay between caregivers’ economic resources and their ideas about food and family. She has also studied the dynamics of social control, stigma and compassion at a food pantry. 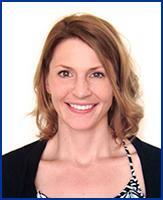 Jen is an assistant professor in UC Davis' Department of Human Ecology. Her research focuses on identifying modifiable determinants of childhood obesity and developing and testing programmatic, policy and environmental interventions to prevent obesity. Jen led an evaluation of the nation’s first soda tax in Berkeley, California. She has also examined primary care interventions for underserved youth, healthy retail programs, multi-sector community interventions to address childhood obesity, and the impact of screen time on adolescent sleep and health. Barbara's research focuses on the influence of contextual level effects on dietary intake, cardiometabolic risk factors and pregnancy outcomes, especially among vulnerable populations. Contextual level effects refer to the household food environment, namely household food insecurity, as well as the neighborhood or built environment measured as one's food, physical activity and social environment. 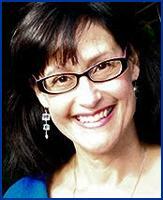 Her research focuses on pregnant women, children and adults with diabetes. Her research includes surveys, direct observation of neighborhood attributes, data collection using anthropometric, questionnaire and a number of dietary intake approaches. Kristine’s research focuses on identifying policies and programs to promote physical activity and reduce obesity and weight-related health disparities. She has conducted interventions in both the clinical and community setting with hundreds of children and their families, with a focus on low-income families, and has developed techniques that yield consistently high recruitment and retention in her studies. She has developed strong academic-community partnerships with multiple organizations, including health departments, public health clinics and community-based service organizations. Her research team has measured physical activity using accelerometers, pedometers and structured observation (SOFIT and SOPLAY) in thousands of children and adolescents. She mentors undergraduate, masters and doctoral students, as well as postdocs and fellows, and is committed to supporting our next generation of researchers and practitioners working to address obesity. Suzanna’s research interests include investigating biological, behavioral, social and environmental contexts of health behavior among vulnerable child populations. Her approach to helping prevent chronic disease is by understanding how to improve lifestyle behaviors—namely sleep, nutrition and physical activity—among children and their families. Her long-term career goal is to conduct research that makes an impact on reducing health disparities in underserved communities. Hannah's primary research interests are in increasing access to quality physical activity and physical education programs in schools and communities. She contributes to several NPI projects, including Kaiser Permanente's Thriving Schools and Healthy Eating Active Living (HEAL) projects and the USDA/San Francisco Unified School District's Lunchroom Redesign evaluation.